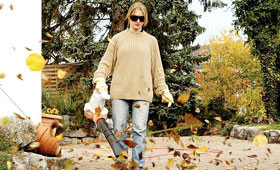 STIHL electric handheld blower units can be used to clear up gardens, pavements and a variety of other areas. With an optional Vac-Kit, the BGE 71 can be converted into a vacuum unit with catcher bag for compressing large volumes of waste making it ideal for work around the home or yard. The BR 500 professional backpack blower is a low-noise unit, thanks to its sound dampening material making it ideal for use in noise sensitve areas producing only 65 dB(A). 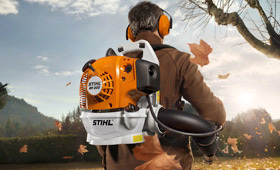 Powered by the fuel-efficient STIHL 4-MIX engine and a simplified starting procedure for single-handed operation, and an ergonomic mount for operator comfort, this unit sets new standards in the industry for a powerful yet ‘low-noise’ backpack blower. The BR 600 MAGNUM professional backpack blower is one of the cleanest-running in its category, thanks to a fuel-efficient, low-noise STIHL 4-MIX engine delivering increased durability and longer life. It offers an impressive power-to-weight ratio with many enhancements including a new nozzle with extended wear area to prolong equipment life, and a specially designed nylon harness for high wear resistance. 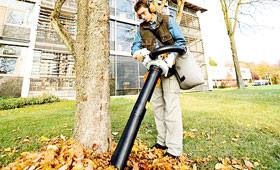 This is the most powerful backpack blower for the landscaping professional. The SR 450 backpack sprayer converts without difficulty from misting to dusting applications - no need for special tools or added equipment. 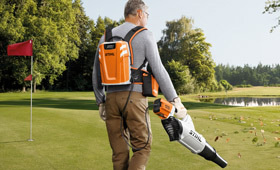 Powered by a forceful yet fuel-efficient STIHL 4-MIX engine delivering a wider spray range, it features a singlehanded control for superior command and adjustment of air speed, providing greater application efficiency and less product waste. Full mobility, without exhaust emissions and cables. 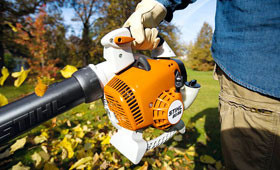 For those that don't want to annoy their neighbours, STIHL offers high performance 36V lithium-ion battery blowers. Mobile, quiet, powerful and just right for use in noise-sensitive areas such as schools, community gardens and hospitals. The NEW BGA 85 blower, powered with the latest in lithium-ion technology, is the perfect tool for use in noise sensitive areas, such as hospitals, public parks, schools, etc. In addition to its low weight and very low vibrations, it features a dual speed trigger switch for an adjustable air stream and blowing intensity, making this blower easy and comfortable to use.